In lieu of flowers memorial donations may be made in memory of Donis Banks to El Dorado Christian School. Donis E. Gilbert Banks, age 66, of El Dorado Springs, MO, passed away Sunday, August 26, 2012. 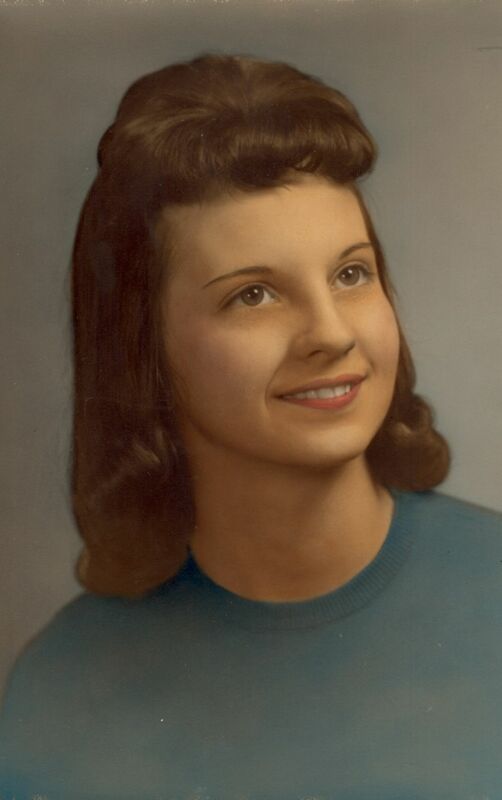 She was born June 26, 1946, near Roscoe, MO, to Durl and Betty Lou Gresham Gilbert. Almost from birth she was always called Donie by her parents and other family members, and many of her friends. As a very young child she acquired the skill of a homemaker, always helping with household chores and cooking, especially when a family member was ill and extra help was needed in the home. She was a very loving and caring person. As a young mother of two small children she and Steve moved from their own home to care for her family who was involved in a very serious accident. While living in her parent’s home she carried the load of homemaker for both families, while also caring for the injured family members for a period of about ten months. She attended the El Dorado Springs school district from 4th grade through high school. Donie was united in marriage to her high school sweetheart, Steven Banks, on September 14, 1963. They were parents of two children, Karen Ann and Michael Steven Banks. They lived in El Dorado Springs their entire married life. Donie worked at Matco and Places stores for a number of years. In 1983 she became employed by Community Bank where she rose to the position of bank cashier and Vice President. She was still employed by Community Bank when she was diagnosed with a fast growing brain tumor in June of this year, that took her life on August 26, 2012, while a patient at Cedar County Memorial Hospital. She was a loving, caring person, a wonderful daughter, wife, mother, grandmother, and sister. At a young age she became a new person when she surrendered her life to Christ, her Savior. She remained a true Christian to the end of her earthly life. Donie was preceded in death by her father, Durl Gilbert. She is survived by her husband of nearly 49 years, her daughter Karen and husband Kirk Sibley, El Dorado Springs, her son Michael and wife, Gina, Carthage, MO, her mother Betty Gilbert, grandchildren Kate and Madison Sibley, Abbe and Christian Banks, and Joshua and Amy Anderson. She is also survived by her three siblings Dennis Gilbert and his wife Sherry, Jan Bland and her husband Randy, and Doug Gilbert and his wife Carla, all of El Dorado Springs and a brother-in-law Fred Banks and his wife Pat, of Palmetto, Florida. She is also survived by numerous nieces and nephews. She was very kind and loving to her family, friends, and also her co-workers. She was especially kind and loving to her aged mother and a wonderful grandmother to all of her grandchildren. They all delighted to be with “Mom-Mom” as they called her. She enjoyed cooking their favorite foods and attending all of their school activities. The highlight of her year was taking family vacations where she enjoyed taking pictures and turning those memories into cherished scrapbooks. Donie was good natured and the kids enjoyed teasing and tormenting her. She delighted in it as much as they did. There could be volumes written by her family of all the fond memories and fun times shared together. Funeral services were held on Tuesday, August 28, 2012 at the Church of God Holiness, conducted by Pastors Joe Trussell, Silas McGehee, and James Coleman. Music was provided by Faith Trussell and Strong Tower Quartet. Burial was in the Clintonville Cemetery near El Dorado Springs, under the direction of Bland-Hackleman Funeral Home. Pall-bearers were Chuck Johnson, Chris Gilbert, Nick Bland, Matt Miller, Grant McConnaughey, and Joshua Anderson. Honorary pall-bearers were Dennis Daugherty, Chance McConnaughey, Christian Banks, Blake Johnson, Philip Devillers, Tanner Hixson, and Noah and Jackson Bland.